Take a seat, pumpkin spice! If you adamantly agree that peach flavored everything trumps pumpkin spice flavored everything, then this costume is exactly what you need. 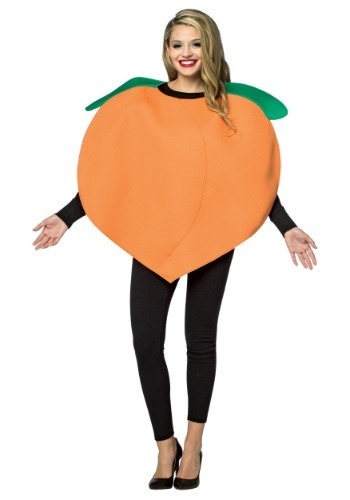 You'll be a walking advertisement for the delicious fuzzy fruit that tastes great any time of the year plus, you'll look akin to a very popular emoji that everyone is appropriately obsessed with. Just pull the soft tunic featuring two green leaves over your head and get ready to provoke salivating mouths. Suddenly people will be muttering to themselves, "hmm, a peach ice tea would sure taste great right about now." Put on the tunic and inspire a peach revolution! Sorry pumpkin spice, but peach is going to be in the spotlight for awhile. Better luck next fall!